We have too many GRAY days lately! !I need some nice colors around me! 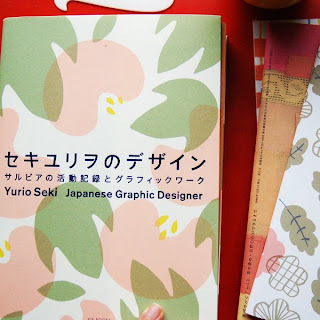 Luckily I have a good mail day!Yurio Seki's book is here. 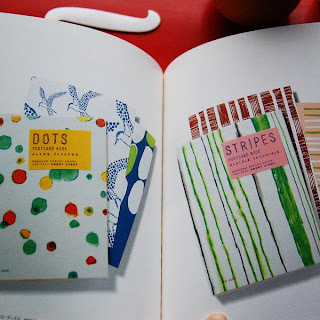 I need to get these "dots" and stripes" postcards. 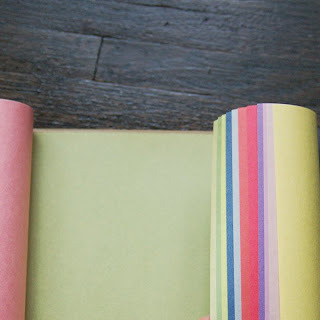 I got these color paper in tortoise and according keiko these paper are for collage. They tear the paper and not cut them by scissors. I love the color texture of it. 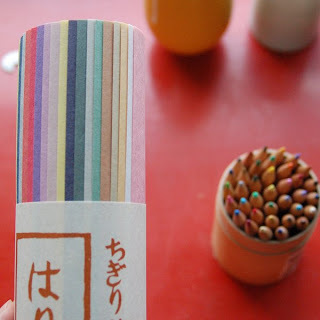 They are similar to Chinese calligraphic paper. I don't think this really show the real colors. and I did some portrait sketches with the paper! I also love the colors on this table. I have that book! And I love it so much! I always find myself sitting in a corner, flipping through it!! 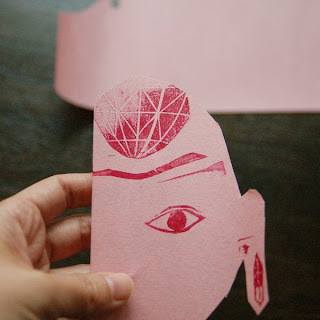 That paper looks beautiful! I would love to see some collages done out of them. i agree. what is with all this rain and grey weather? i love salvia magazines. where did you get them? i've ordered some from taiwan (i'm from taiwan, too) but it's way too expensive! it would be better if i can get them in us. I got them from a etsy shop called " goodness", http://www.etsy.com/shop.php?user_id=5104353. she is no longer living in japan now so i need to see if there are any etsy shops in japan will be able to help me to get the books. 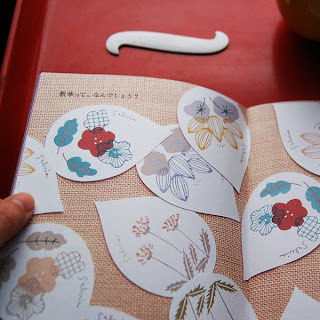 The book looks lovely, didn't know this artist yet, thanks for sharing, love your blog.